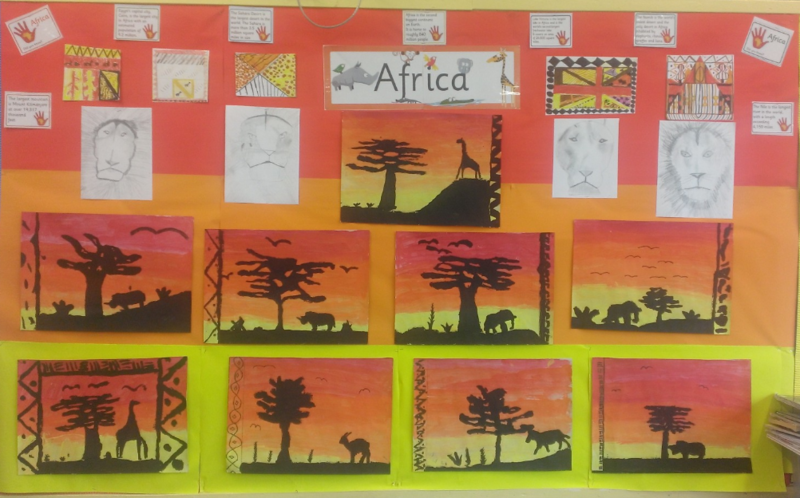 Just thought I'd share a picture of our newly updated Africa classroom display. It shows some of our work on patterns at the top, some of our pencil work on lions and then our savannah pieces. The final stage of this Africa unit is something we've not done before in year 3. We're attempting African masks!